Exceptional specimen for the locality. Very aerial Enargite crystals, with well defined faces and edges showing an excellent luster. Perfect terminal faces, also very bright. On matrix. The specimen is from the James Catmur collection and we’ll send the label with it. The crystals are very sharp and bright, which is not so common with the Peruvian samples of Enargite. They are with small crystals of Fluorite and on a metallic matrix rich with Pyrite. 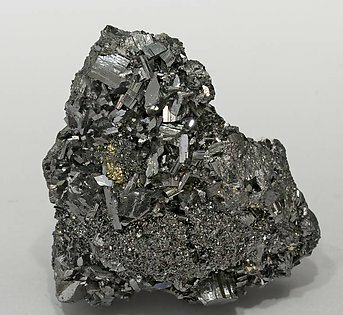 Group of prismatic crystals with well defined faces and edges and good luster. 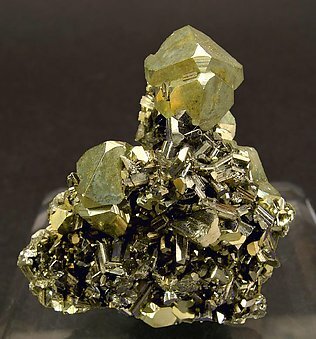 On matrix with small octahedral Pyrite crystals. A classic specimen. 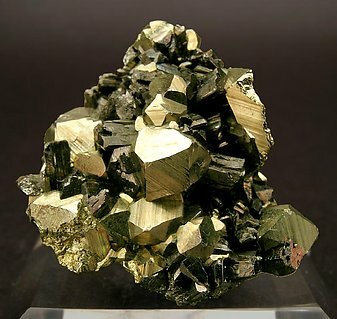 Prisms of Enargite contrast with complex crystals of Pyrite showing clearly the octahedron and pyritohedron faces. Folch purchased the specimen directly in Butte, Montana, in 1955. 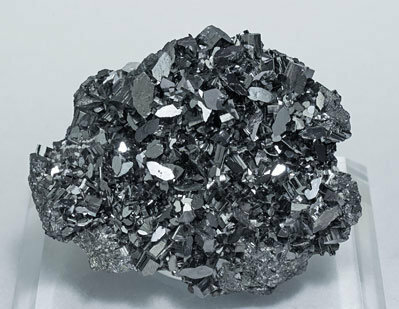 The prisms of Enargite, very bright, contrast with octahedral crystals of Pyrite with a modest development of pyritohedron faces. 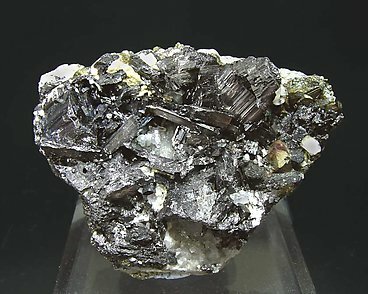 Druse with very sharp Enargite crystals on a matrix of massive Enargite and Pyrite. The crystalline forms, a finely striated prism and the pinacoid, are very bright. An American classic. A U.S. classic with sharp prismatic crystals of Enargite, bright and with excellent terminations. 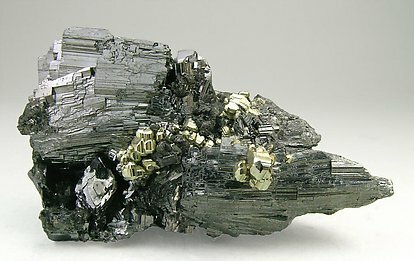 On matrix, with Pyrite and Quartz. 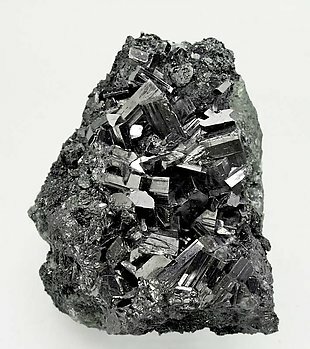 An excellent cluster of crystals, very representative both for the species and the locality, A classic of the American mineralogy. 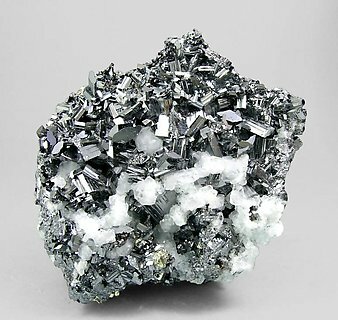 With small crystals of Pyrite and on matrix. Ex Folch collection whose autographed label we'll send to the buyer with the Silvane collection label. Group of prismatic crystals with pinacoidal terminations. 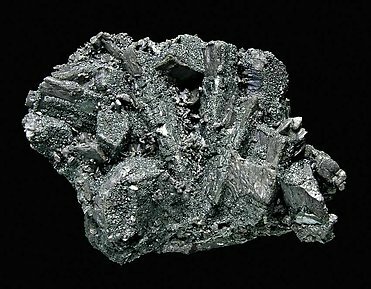 They are all partially covered by small tetrahedral crystals of Tetrahedrite.